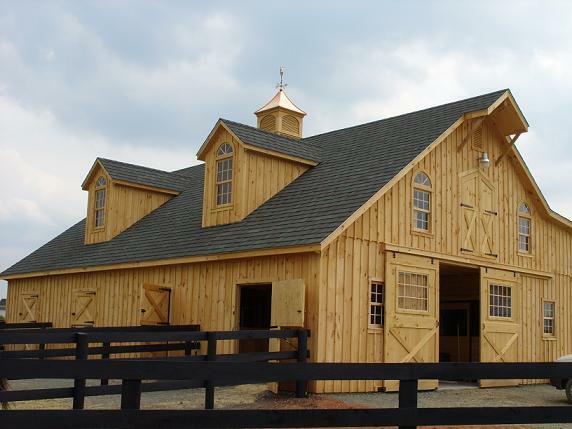 When you need a new place to hang your hat and bridle, call the Upstate NY Barn Builders at Saratoga Construction. 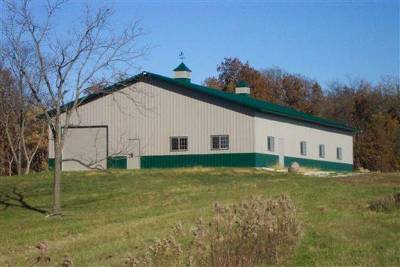 Whether you need a custom horse barn, pole barn for hay storage, mare and foaling barn, insulated horse barn, indoor riding arena, facilities with living quarters, or post frame building for equipment storage, we’ve got options that make horse sense. 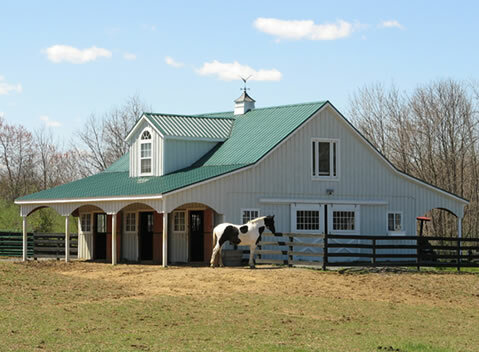 Our beautiful Amish-built modular horse barns feature oak-frame construction, oak kickboards, oak stall dividers with powder-coated steel bars, quality windows and doors, and architectural shingle roofing. If you’re looking for a quality-built horse barn, shed row barn or run-in shed, and need it FAST, modular horse barns are a great option. 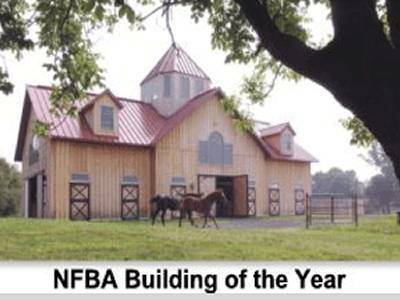 Please contact us today to learn more about modular horse barn construction. 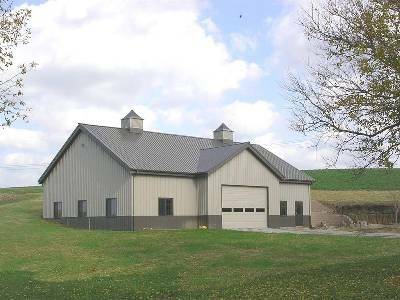 Saratoga Construction offers a full line of pre-engineered Post Frame Buildings, also known as Pole Barns, from our partners at EPS Buildings. Post Frame construction is a very cost-effective solution for barn construction, riding arenas, equipment storage, hay storage, and workshops. Our barns are engineered for snow loads up to 200 pounds, and come with a 50-year warranty on posts, and offer many options for interior finish. Using structural insulated panels (SIPs) in your equestrian building will provide a comfortable office or living quarters, creating extra long-term value with the energy efficiency provided by the panels. A building made with SIPs offers impact resistance, walls that are stronger and straighter while being up to 50% more energy efficient than a stick-built building. Interior wall temperatures are much improved over stick or steel walls. Our insulated panel system is 15-times better at stopping air infiltration, giving you a more comfortable building by virtually eliminating drafts. 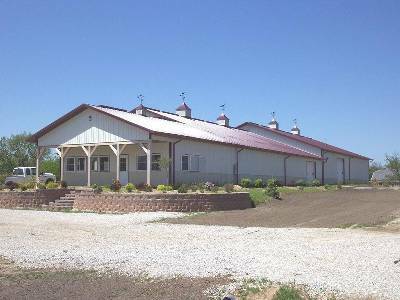 Combine a SIP barn with a clear-span riding arena, and you’ll own a building that any horse lover will envy. 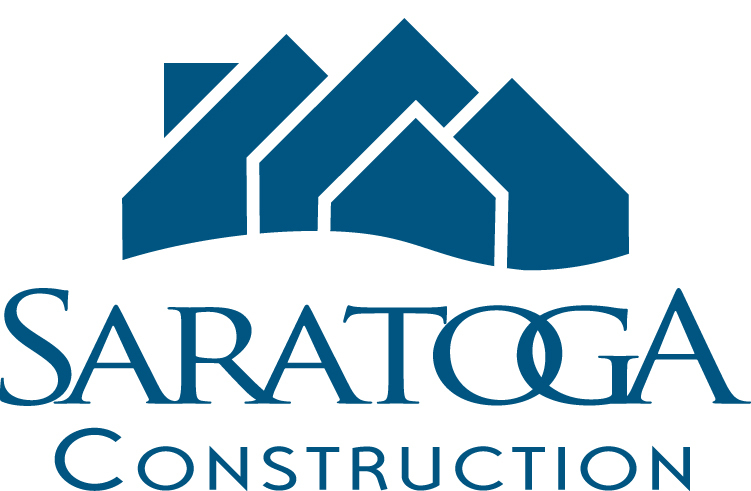 Every Saratoga Construction equestrian building is engineered for long-term value, maximum performance, and to meet applicable building codes including wind and snow load. Please contact us to discuss your equestrian building project.